Pullman Saigon Centre has come up with a novel way to keep abreast of evolving food trends in Vietnam — a pop-up style burger bar. The brainchild of general manager Tony Chisholm, the concept came about in recognition of the need for high-end hotels to move on from “the old historical cliche” of offering just club sandwiches. It’s another example of the disruption to business-as-usual in the hotel industry at the moment, and is as much about changing ways of thinking than just simply throwing money at an idea and hoping it works. Instead of undertaking a wholesale renovation of the hotel’s ground-oor lobby bar, Tony and his team have simply added striking ‘burger boards’ above its triangular bar on each of its three sides to showcase their offerings. The typeface and styling they’ve used give it an American feel without going too far so as to be kitsch. From the outside, the eye-catching burger decals on the windows add to the burger joint feel. He knew if he could answer this question, then he might be onto something. While confident he had the right answer, he had to convince key stakeholders at AccorHotels, the group that owns the Pullman brand, that having an Americanised burger joint in the middle of a five-star hotel would work. As it turns out, he did it. For Tony, the answer to the burning question had always been simple: “Who doesn’t like a good burger? 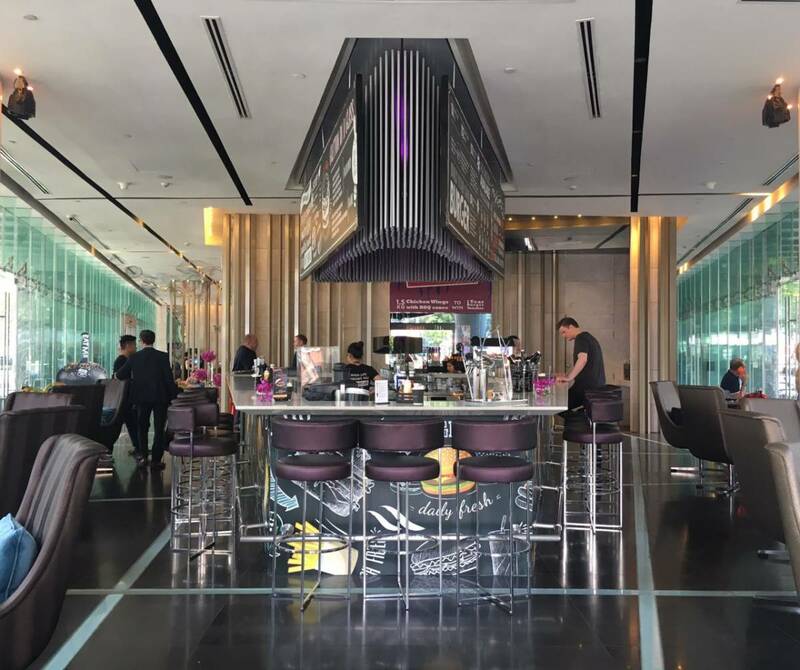 So, why not do it?” Now, there’s a burger bar at the Pullman Saigon Centre which serves up top-quality burgers at reasonable prices, and according to Tony, it’s been a hit. The wagyu burger with the charcoal black bun has proven to be the most popular, making up approximately 60% of sales. Apart from tasting great, much of its success has been off the back of diners being able to personalise their burger by choosing the bun, meat (or not), top-ups and sauces. 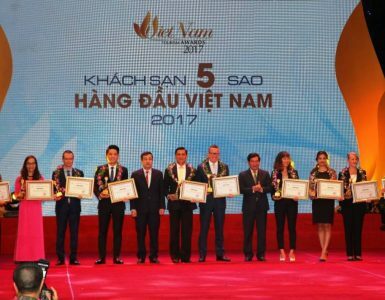 With ‘free-flow chips’ (a great thing) and depending on whether you order for lunch or dinner, a soft drink or draught beer, it will set you back VND305,000 all inclusive. There are six other burgers to choose from — tuna, pulled pork, chicken, tofu, Italian, soft-shell crab — and each month there’s a special. Last month was a pho flavoured wagyu burger, and earlier there was a ‘detox burger’ incorporating a salmon steak — with luck it will grace the burger board again soon. 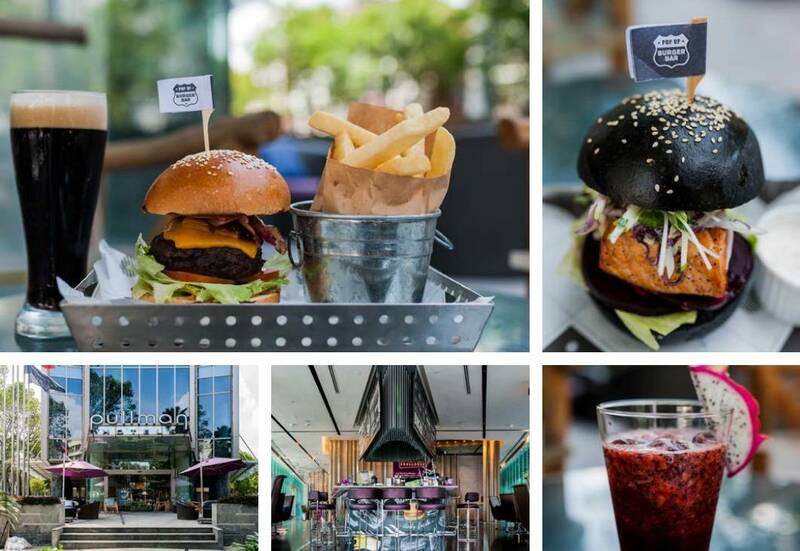 While Tony concedes that the burger urge may soon be taken over by a different trend, the beauty of the pop-up concept is that the Pullman Saigon Centre will be able to change with culinary trends in Saigon and maybe even become a culinary influencer itself.